In celebration of the Inauguration of Barack Obama 'The House of Tate' has produced a selection of limited edition of paintings 'Yes We' Can. Each painting in an edition of 10. All paintings on framed linen 12" x 12" To purchase go to the HOT store or contact darryl@thehouseoftate.com. 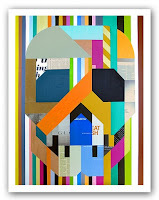 A limited edition Clark Goolsby print (as featured in HOT#8) is now available for purchase at POV Editions. 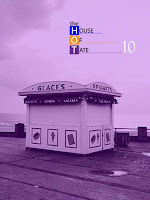 The House of Tate 10 is published! The House of Tate #10 has been published featuring the work of Bruce New, Dustin Parker, Joko, Moni Eckey, Jon Beinart, Michael Hsiung, Molly Crabapple, Sofia Barao & Nicholas Di Genova. Now accepting submissions for HOT#11.